Quality E Cigs Guide. Best Electronic Cigarette UK. Best E-Cigarette reviews UK Best e-Cigarette for Women. Vape Pen News and Reviews. Fashionable, quality women’s E-Cigs? You bet. The Vapor Couture range of e-cigs is a fashionable quality e-cig for women. These are very elegant small vape pens. VMR product who manufactured Vapor Couture have now ceased production and introduced a replacement in the form of their new Ex-Series product range. 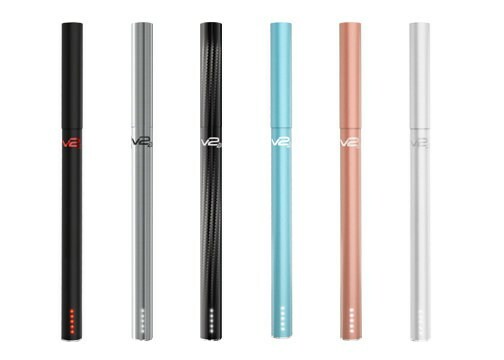 Whilst we understand there is still some VC inventory we would suggest that the new sleek Ex-Series range offers a stylish e cigarette that is innovative and overall is a better vaping device. The quality of the Ex-Series is second to none. Read our full review of the Ex-Series here. The Ex-Series comes with a matching sleeve that fits neatly around your refill cartridge resulting in clean and streamlined elegant feel and look. See the full range of Ex-Series Vape Pens here. 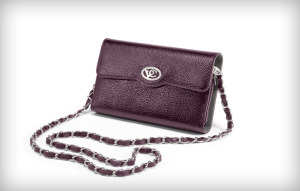 The VC range is not only a sleek and attractive looking E-cigs but has accessories such as the stunning Vapour Couture Smartphone Clutch – It has room for 2 E-Cig batteries, 4 Cartridges, your smart phone and all your bank cards. What more do you need for a night out? What’s more is the actual Vapour Couture products come in a massive range of stunning designs. There are other cool additions too, such as the sterling silver necklace/bracelet you can also purchase from Vapour Couture. This little number dangles round your neck with an elegant touch, or you can use the double lobster clasp to convert it into a double loop bracelet. You simply snap in the crystal end of your E-Cig into the necklace and it dangles for a hands free experience. For those on a budget it also comes in stainless steel. We aren’t saying these are the only E-Cigs for women, but for us, they have the best quality E-cigs which are produced by our favourite E-Cig company (V2), they also have a really good array of accessories we think are fabulous. Why have a lanyard when you can have a stunning silver necklace?